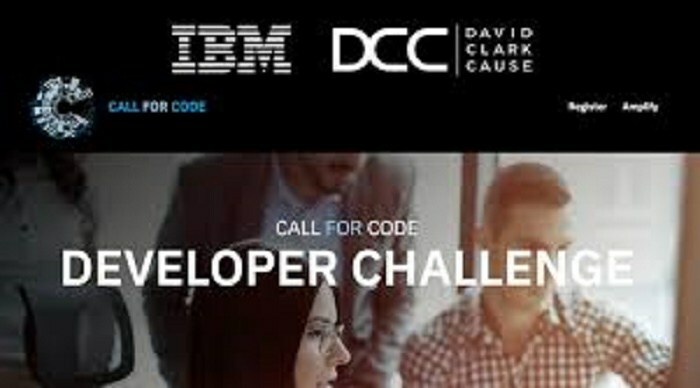 Call for Code GlobalChallenge is a global, multi-year initiative spawned and sponsored by David Clark Cause and IBM. It has an aim of propelling developers to tackling and solving very pressing global problems. This is with the use of sustainable software solutions to alleviate human suffering. A handful of the world’s problems are natural disasters. This initiative wants you, as a developer, to think around the problem proposing ways with which the preparedness or readiness for these sort of disasters can be reduced. Basically, you are to develop solutions to make the world better. The theme for this year’s Code Challenge theme is Natural Disaster Preparedness and Relief. How will you answer the call? +All submissions must be deployed and run on the IBM Cloud. +All submissions must make use of at least 5 IBM cloud services. Use of sponsor or affiliate APIs is also encouraged. +Teams of up to 5 participants are allowed. All team members must have completed the Participation Agreement to compete. +As a participant, you may not be part of multiple teams. +Teams have full ownership of everything they build and are free to do with it as they wish whether they win or not. +Winning teams will be subject to a code-review after submissions close on Aug 31. +Overall rights of first refusal to invest in projects will be outlined in Participant Agreement. +The Call for Code Global Award presented by a jury of eminent technologists at the Call for Code Award Event. +A $200,000 USD cash prize. +Long-term open source project support from The Linux Foundation. +Venture capitalist introduction and pitch to turn your idea into a funded company. +The opportunity to deploy your solution with an IBM Corporate Service Corps team. +One that alerts pharmacies to increase their stocks of antibiotics, insulin, bottled water, and vaccines based on predicted weather-related disruptions. +A solution that uses analytics to predict the impact of weather and educate communities on how to prepare for an impending disaster. +Using visual recognition to assess the impact of a seismic event and speed claims processing, reducing time to build back better. Interested? Register HERE For The Challenge. Funding Opportunities Call for Code Global. permalink.